Very easy to set up and has performed perfectly from the first day. Overall, very pleased with the product. 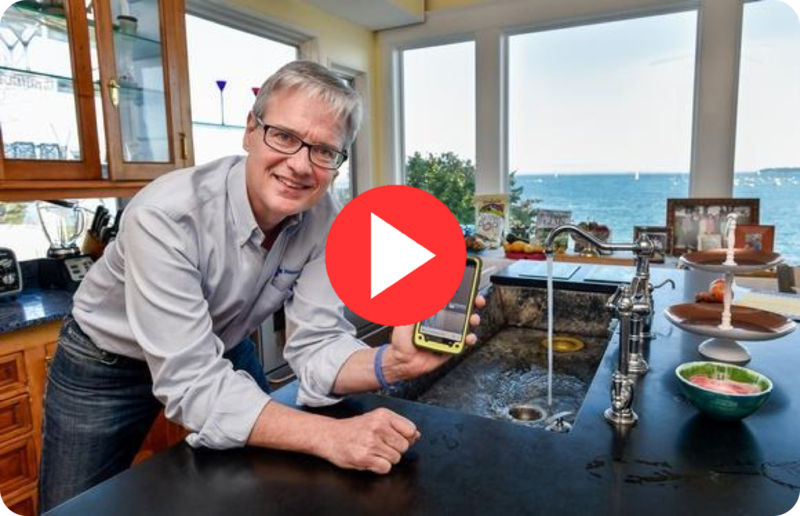 Water Hero is the internet connected and user configurable water monitoring system, leak detection system, and automatic water shut off. Order Water Hero over the web or phone with support from the Water Hero Team. Within two business days, Water Hero is shipped from our facility in Beverly, MA right to your door. Water Hero can help schedule your install with a vetted Water Hero Plumber. Our team learns more about your home/building over the phone so they’re prepared upon arrival. 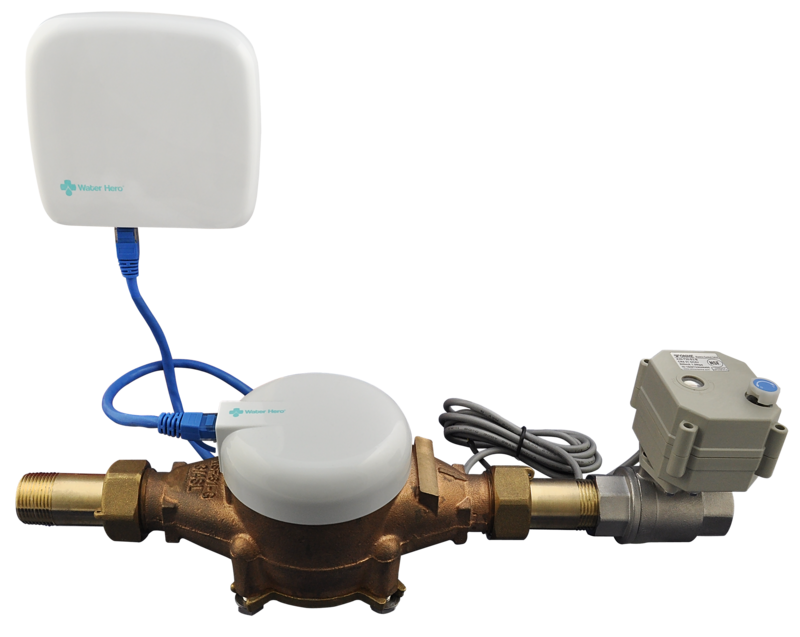 Once connected, configure leak alerts and auto water shutoff based on the duration of continuous water flow. Your home or building is now protected! “I’m a Water Leak Victim. Five years ago, I came home to water leaking out my front door, $100K+ in damage, and my grandmother’s table completely rotted away. Soon after, I began building Water Hero to protect homes and businesses from these costly & damaging leaks. Just finished installing Water Hero – two hours later, I’ve already identified a slow leak. Amazing Product. We work hard to keep our customers happy – which is why we can back Water Hero with a 100% Satisfaction Guarantee. We’re confident that you’ll love Water Hero because of the feedback we’ve received from hundreds of customers. If though, for any reason, you don’t, send it back within 60 days of purchase and we’ll provide a full refund including all shipping costs. Water Hero is modular and composed of robust plumbing components that have been used for over fifty years – a water meter and a motorized ball valve. It’s built to last. That’s why we stand behind our system with a five year warranty – we’re here to help keep your homes and buildings protected. 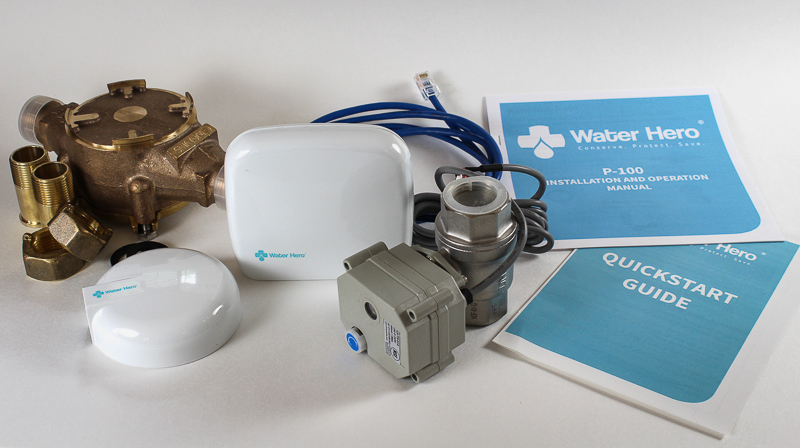 This water monitoring system comes with major components needed to plumb it into your home piping right where water enters your home. Six components include unions, ball valve, electronics, our automatic water shut off valve and more. Water Hero is controlled by our web and iOS app. There, you’ll see water usage history, valve position, home temp and more. 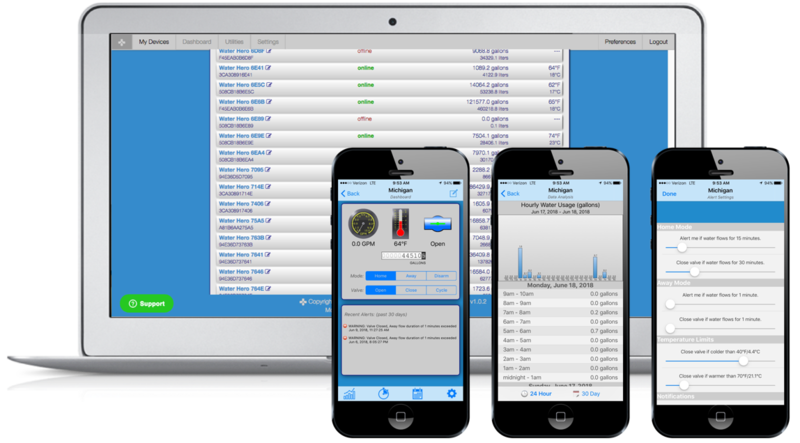 This water monitoring system is completely user configurable, so you’ll be able to change alerts, anywhere, anytime. At Water Hero, we recognize that every home, business and building is different and that our customers have different concerns. Fill out a form or call us at 877-662-4496 to learn more. We’re here to help. Finding a good plumber can be challenging. 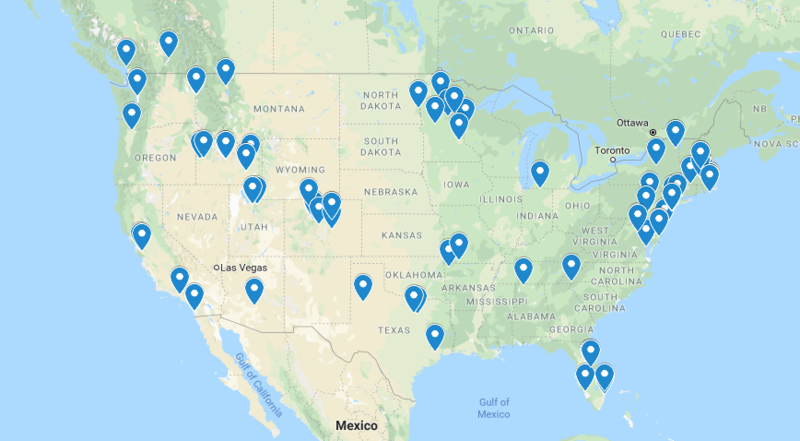 Water Hero has trained experts at installing our water monitoring system across the country and we’re happy to connect you to these installers if you don’t have a plumber in mind for the install. If you do have a plumber you work with, Water Hero can speak with them about our automatic water shut off valve, send training materials and is happy to help as needed. How much does it cost to install Water Hero? The installation cost of Water Hero depends where you live and the complexity of the plumbing in your home. Typically, Water Hero takes about one hour to install and costs between $50 to $350, depending on the location. Water Hero works with over 100 plumbers across the United States and are happy to put you in touch with a local plumber who can provide you with more details on plumbing installation cost. How reliable Is Water Hero? What is the warranty? We’ve developed and tested Water Hero over a four year period. Leading the charge is a team of seasoned software developers, electrical engineers and quality assurance engineers. At Water Hero, we prioritize functionality to ensure that your unit is operating to the specifications that you set. To back up our product, we offer a One year product hardware warranty and a 60 Day Satisfaction Guarantee. How does Water Hero work with an irrigation system? We recommend that you install Water Hero after your irrigation system splits off from your pipe – your plumber can help with that. But, if you can’t install at that location, our team will work with you to develop the appropriate settings to ensure that everything is operating for your home in particular. Does Water Hero work if I have well water? Yes, Water Hero is installed on multiple well systems. We recommend that you cut the Water Hero in after your pressure tank and well pump. Is Water Hero Installed vertically or horizontally? Water Hero can be installed vertically or horizontally; whatever is most convenient for your particular installation. Can Water Hero be installed outdoors? What size pipe can Water Hero be installed on? Water Hero comes in 3/4″ pipe which represents the majority of homes in the United States. Many homeowners install our main unit on 3/4″ or 1″ pipe. Inquire with our sales team to learn about options for larger pipe sizes.